Waterloo – Wilfrid Laurier University assistant professor Leslie Fagan has been appointed to the Order of Ontario, the province’s highest civilian honour. 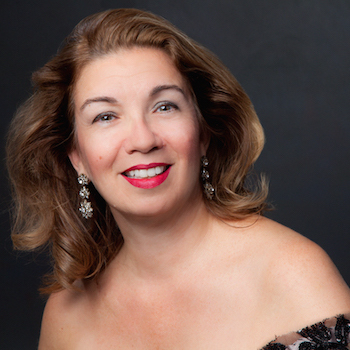 Fagan is a world-renowned soprano and coordinator of the voice program at Laurier’s Faculty of Music. She is one of 23 new members of the order this year, who also include Michael Lee-Chin, who served as Laurier’s chancellor from 2011 to 2016. “It’s an honour to have my work acknowledged when it’s just something I do each day as part of my passion for singing and teaching,” said Fagan. Fagan has been performing opera since she was 19 years old. She has sung at Carnegie Hall in New York, Royal Albert Hall in London, England, and on stages across Europe and the Middle East. She has worked with well-known conductors including Hans Graf, who recently won a Grammy Award, and the late Sir David Willcocks. She has also shared the stage with late greats such as pianist Victor Borge, Canadian soprano Lois Marshall and former Laurier chancellor Maureen Forrester, a renowned contralto. Not only is music in Fagan’s blood, so is winning provincial honours. Her father, Gerald Fagan, a renowned choral conductor, received the Order of Ontario in 2011. He was also awarded the Order of Canada in 2016. Her mother, Marlene Fagan, is a pianist who in 2012 was inducted into the Don Wright Faculty of Music Wall of Fame at Western University along with her husband. Leslie Fagan credits much of her success to her parents and the artistically nurturing home they created. All five of their children grew up to be involved in the arts in some capacity. Fagan grew up in Listowel and London, Ontario, singing under her parents’ tutelage. She began to study voice more formally as a teenager. She graduated from the University of Toronto and went on to study with European masters in France and Italy, taking advantage of grants from the Canada Council for the Arts and the Ontario Arts Council. “I’m just a small-town girl who likes to sing, and every door that’s opened, I’ve gone through and enjoyed the adventures,” said Fagan. “I’ve been privileged enough to have knowledge given and shared with me by greats from around the world and now my job is to share that,” she said. Fagan will perform some of this music with Shalanko in Laurier’s free Music at Noon series on Thursday, Feb. 15, at Maureen Forrester Recital Hall on Laurier’s Waterloo campus. All are welcome. Fagan, who splits her time between Waterloo and Peterborough, will receive the Order of Ontario from Lieutenant Governor Elizabeth Dowdeswell at a ceremony Feb. 27 in Toronto. The ceremony will be livestreamed. Lee-Chin is receiving an Order of Ontario in recognition of his contributions as an entrepreneur and philanthropist. Eileen Mercier succeeded him as Laurier’s chancellor in October 2016.